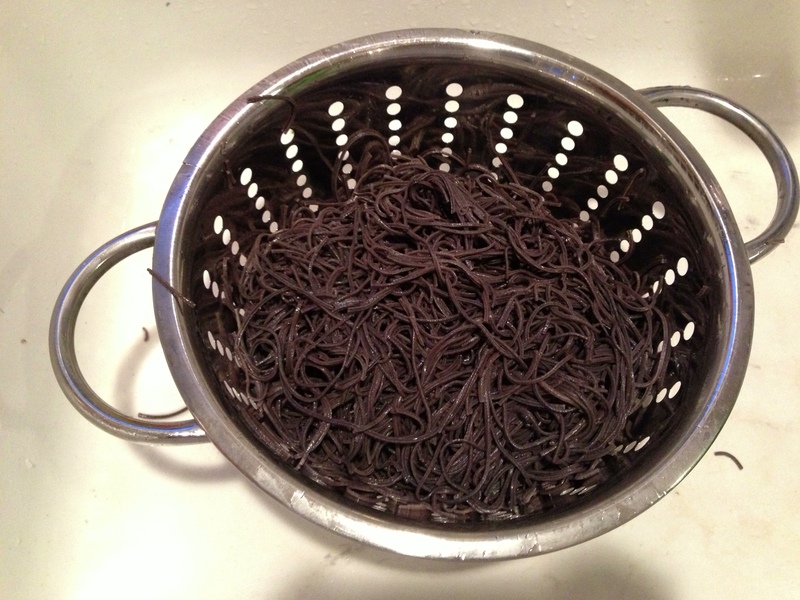 I made black bean pasta for the first time last night, and it totally blew my mind. I had the leftovers for lunch today. And I would eat it again for dinner tonight if I could, but I promised the bf taco salad. 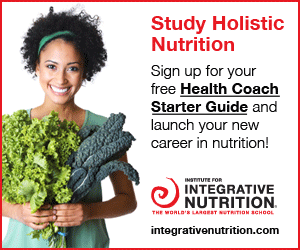 Start by boiling about 6 cups of water in a large pot. 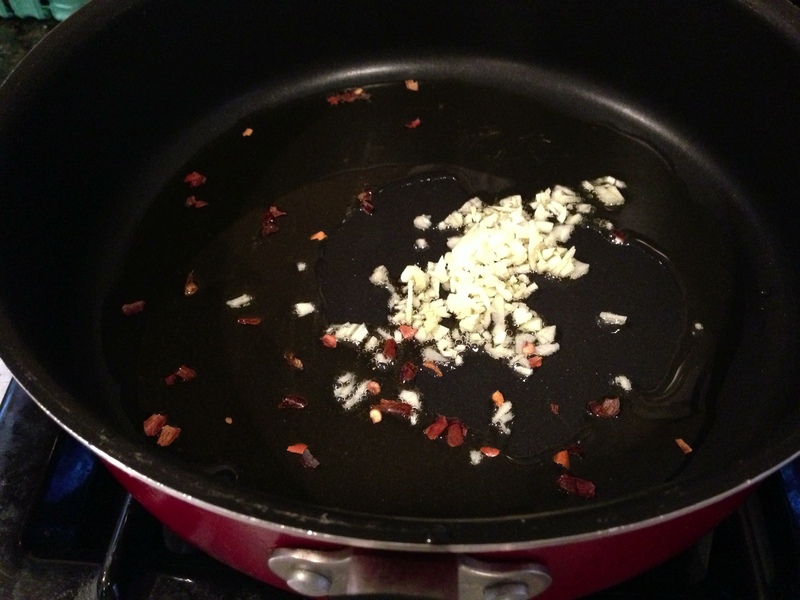 While you are waiting for the water to boil, place your olive oil in a big fry pan along with minced garlic and red pepper flake and turn on low heat. When water is boiling, salt water (about 3 tablespoons), add pasta and stir. Cook pasta according to the package (in my case, cooking over a low heat for 6 minutes). When pasta is cooked, strain and rinse under cold water to prevent it from sticking together. 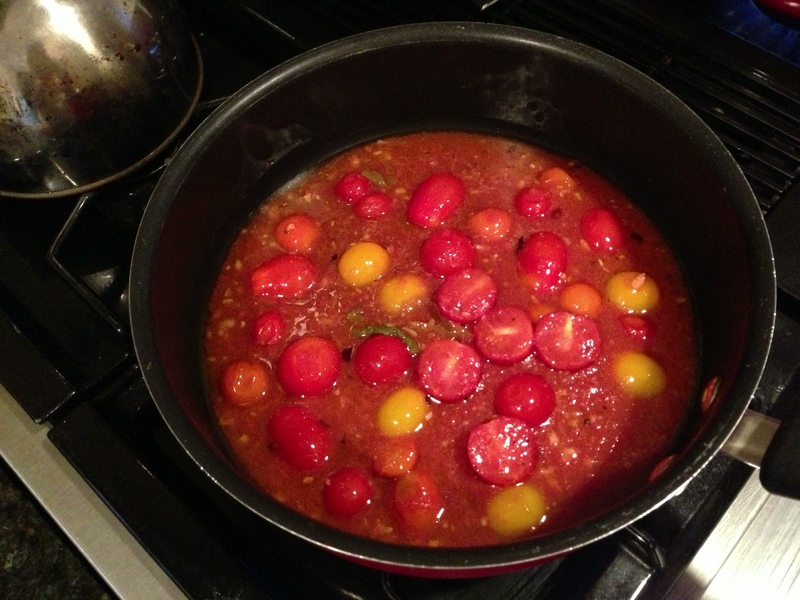 When garlic begins to brown, add the chopped cherry tomatoes and the tomato puree to the pan, along with some salt and pepper, and continue to cook over low heat. 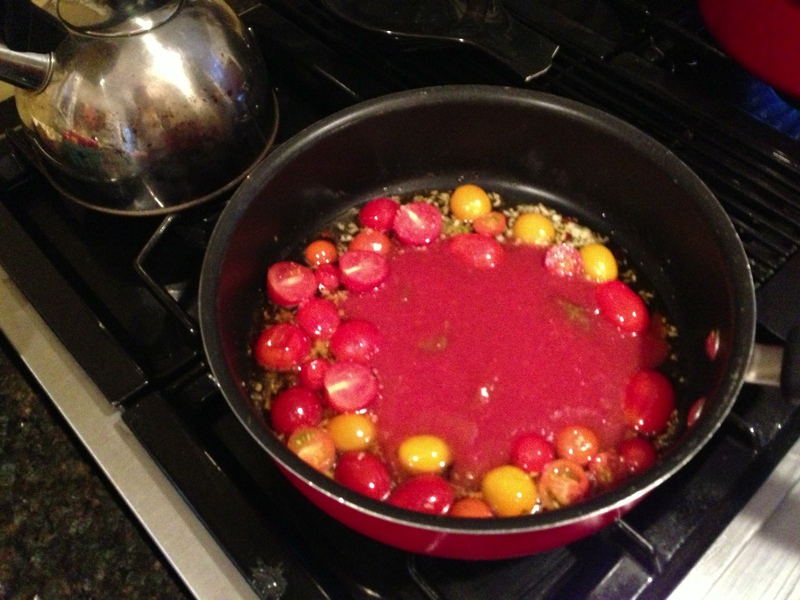 Once liquid begins to slightly boil, cook for another 5 minutes, until cherry tomatoes soften. Once the tomatoes have softened and the liquid has cooked down a little, add the pasta and the spinach to the pan and cover. Continue to cook for about a minute and then mix everything together (which will cause the spinach to wilt). Serve and top with freshly grated parmesan cheese (if desired) – which of course, no longer makes the dish vegan. 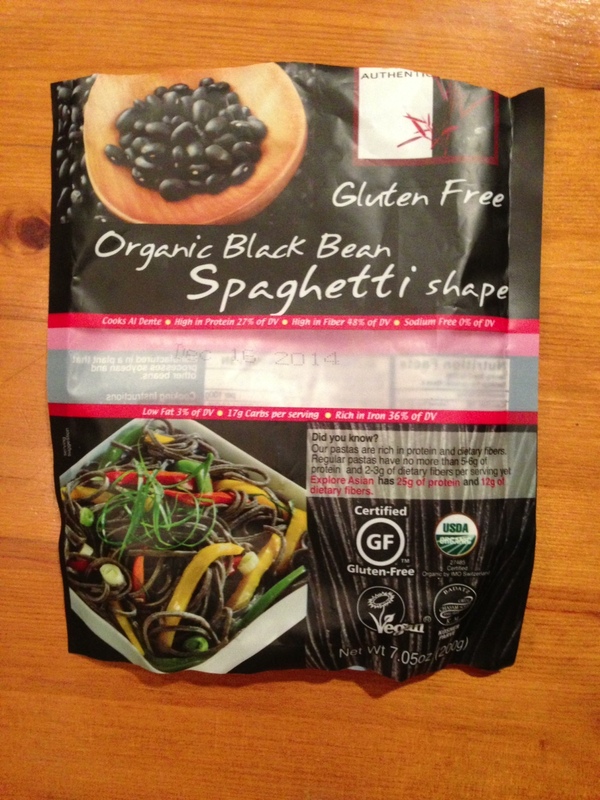 Oh the joys of pasta alternatives (and this one offers 25 grams of protein in each serving!). Enjoy! 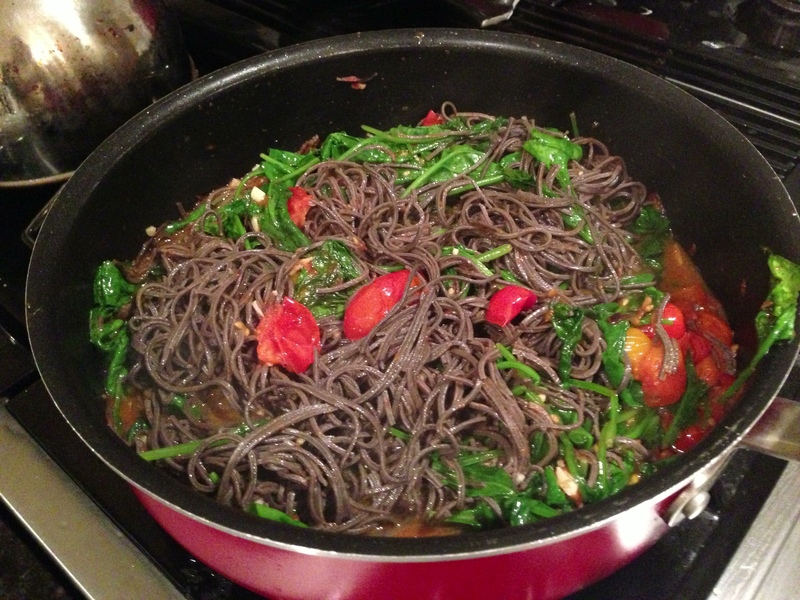 Tags: black beans, dinner, garlic, gluten free, good food, healthy, meal, olive oil, pasta, protein, spaghetti, spinach, tomatoes. Bookmark the permalink. 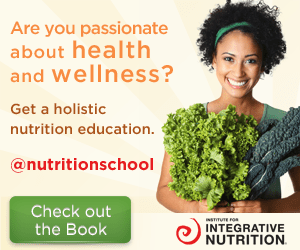 This pasta may have changed my life…. thank you Amanda!